Amazon’s Fire HD 8 Tablet is a cheap Android tablet with the decent specification but the device normally restricts you to the Amazon Appstore. But you can easily Install Google Play Store on Amazon Fire HD 8 Tablet and gain access to over million apps in Google Play. And the good thing is you don’t even require root to Install Play Store on your Fire HD 8 Tablet. Thanks to XDA Junior Member lxmeta was able to get the Naugat based Play Store on his brand new Fire HD 8. To Install Google Play Store on Amazon Fire HD 8 Tablet you need four files Google Services Framework, Google Account Manager, Google Play Services, and Google Play Store. Follow below guide to o Install Google Play Store on Amazon Fire HD 8 Tablet. First, download all four files from above and save it on your device. Now enable the Unknown Sources. To enable Unknown Sources, go to settings –> Security and enable the Unknown Sources. Open the Google Play app on your Fire 8 HD, Login and start installing apps. 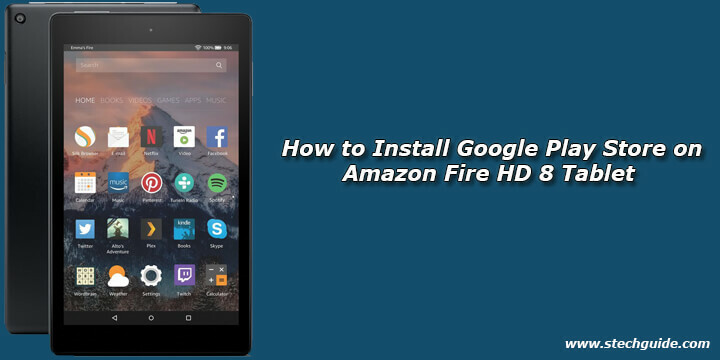 This is the easiest way to Install Google Play Store on Amazon Fire HD 8 Tablet. If you have any doubts comment below. Stay connected with us via Facebook, Twitter, and Google Plus to read more such helpful posts.